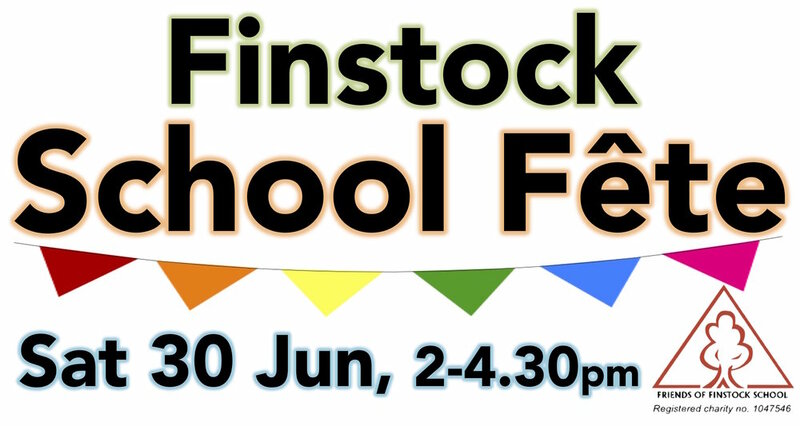 Finstock School's annual summer fête will once again be packing Finstock playing field with rural fun in the sun! Try your hand at welly wanging; watch the kids Gunge-A-Governor and show off their maypole and morris skills; sample home made cakes; enter the produce show (categories: miniature garden, best home-grown veg or fruit, best home-grown flower arrangement); bring your mutt to the Dog Show; win a teddy on the tombola, guess the sweets in a jar, bouncy castle, tractors, ice cream van, face painting, bric-a-brac, tons more and of course... the prize draw of our famous SUMMER RAFFLE! (Tickets on sale in Finstock Village Shop in June priced £1 each; top prize £50 cash). Entry is FREE, so come spend your pennies and help raise funds for our lovely village school!